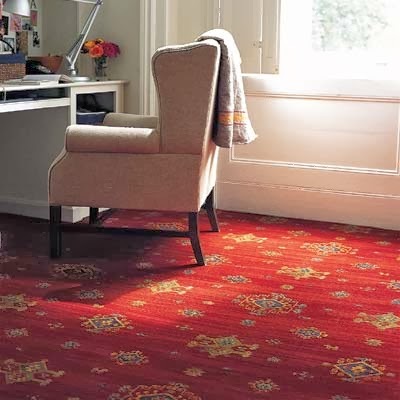 Homeowners shopping for carpet in Indianapolis have many considerations and color is likely to be top of the list. Indianapolis carpet store, Kermans, has some great questions to examine when you're looking for new carpet. How will the room be used? A room with lots of traffic or one that is used often may not be the best place for light-colored or white carpet. 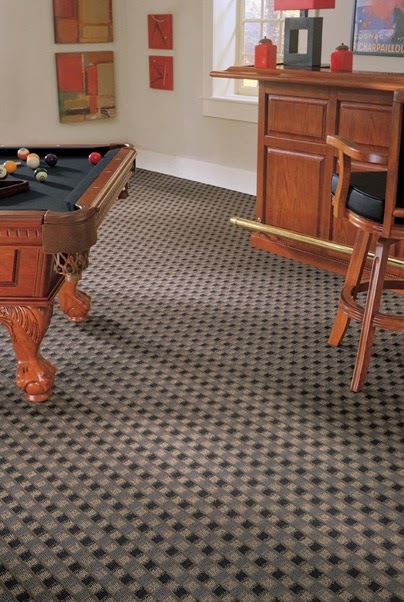 A darker carpet also does a better job of masking stains from spills in a busy rec room or basement. Patterned carpets can be an excellent choice for a room with lots of activity as well. Will there be kids playing on the floor frequently? Lighter carpets are notorious for shedding lint. However, there are different fiber choices and treatments that can help with that. Ask the experts at Indianapolis carpet store, Kermans for their recommendations on carpet fiber choice and style. Learn more about carpet types. How big is the room? Lighter colored carpets can make smaller rooms feel bigger. Likewise, larger rooms can feel cozier with darker color carpets. Kermans receptionist, Sharon Syester notes, "Gray color tones are very popular right now and work well in any size room since they come in a wide range of light to dark shades." What is the feel of the space to be carpeted? A den or library lends itself to darker colors and a cozier feel. A dark living room can brighten up with a light colored carpet. Color types play a factor here as well - cool colors such as blues, greens and greys will lend a calming, quiet influence to your decor. Warmer colors like reds, golds and browns tend to bring a cozier feel. Learn more about color types and carpet. What kind of light is in the room? Carpet color will look different in natural light vs manufactured light. Even rooms with lots of windows can show a carpet differently. Northern exposures give less light than southern exposures. You'll also want to keep carpet color fading in mind with lots of windows. The designers at Kermans carpet store in Indianapolis can help you answer questions about how light affects you carpet choice. We also encourage you to take carpet swatches home with you to see how they look in the room, at different times of day and with the existing decor. When you're shopping for carpet in Indianapolis - stop by Kermans in Castleton. We have a wide selection of carpet to meet every need and budget. Plus our free design assistance can help you make just the right match for your home.